Get your FREE artist consultation -click here! Have you ever thought of having your portrait done? You probably think, "Oh yeah - that's great for celebrities, models and board of directors of companies - but not me!" Well, think again! 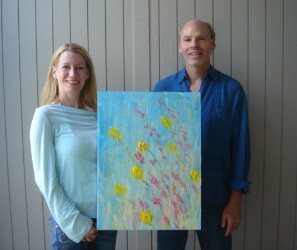 You can have an original portrait of yourself done in FLOWERS by artist Robert Blehert. 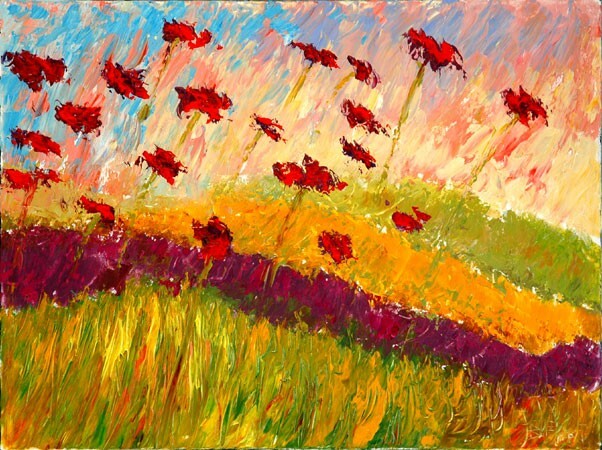 He has a wonderful ability to really show WHO YOU ARE (as the artist views you) right on canvas with an impressionistic style of beautiful flowers. photos of their flower portraits! See Robert's work in the news! How are flower portraits done? 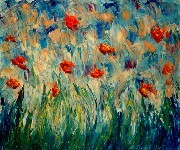 To capture your essence in flowers, the artist need only talk with you by phone or meet you in person. 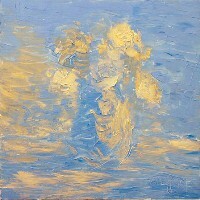 If the painting is for someone the artist can't talk with, he need only talk with you about them. 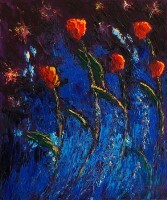 Each painting, done on canvas with highly textured acrylic, is as original and unique as the person it shows - and vibrant and beautiful as the flowers themselves. Kirschner, movie producer; and many more. What started out as a simple gift to a friend - painting an impressionistic flower portrait - has transformed into a national phenomenon! 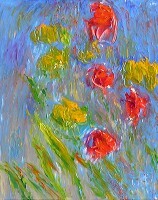 Flower portraits come "straight from the heart" - showing the magic, color and beauty found in his impressionistic style. 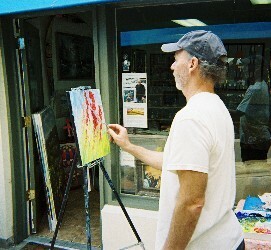 Robert uses the same skills and techniques he learned for his realistic portrait paintings, to create an original masterpiece just for you. 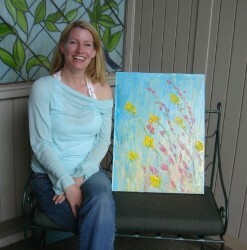 Flower portraits are great as gifts! Looking for that special, unique gift to give? You can have a portrait done in flowers of YOU, a FAMILY member (your grandmother, mother or daughter), or a FRIEND of yours. Give the gift that is totally unique and one that you or your family or friends will cherish and treasure for years to come! Contact us to get more info or to order a flower portrait! 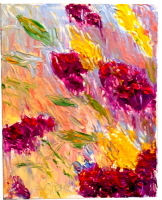 Click here to order a flower portrait from the web site.